Abner E. Norman originally surveyed land in the not-yet-settled Oklahoma territory with a young crew of workers in 1870. The workers laughingly torched the words “Norman’s Camp” into a tree near where they were camped as a tribute to their boss, a tree that remained in place when the Santa Fe Railroad built tracks nearby. Norman, Oklahoma was born. Now home to the University of Oklahoma, Norman is a busy and friendly Midwestern town called one of the top ten best small cities in the United States. The city has many different neighborhoods with over 100,000 residents and over 22 public schools, several private schools and many parks and trails. Norman OK real estate ranges from small condominiums and townhomes to large, spacious homes on large lots. Many homes for sale in Norman are near the University of Oklahoma, while some Norman properties are further out from town for that wonderful Midwestern country feel. Whether you are a Norman home buyer or seller, you will want to speak with a Norman real estate agent who knows the area well and can help you find what you need. After all, you and your family no doubt have a specific wish list of what you are looking for in Norman homes for sale and only a Norman REALTOR® like, Dan & Janet Weber can really help you find what you want. If you are looking to sell your home, you may have many questions about the difficult nature of the real estate market in the past few years. Contact a qualified Norman real estate agent to answer your questions, help you determine how to best prepare your home for sale and how to make your house or condominium stand out from the rest. Living in Norman OK offers small-town life with big-city education, shopping and services. After all, the University of Oklahoma has the highest number of National Merit Scholars enrolled per capita and offers more than $150 million in scholarships every year. Homes in Norman OK are in high demand, and it is easy to see why. After all, Oklahoma Magazine has called Norman the “Best Small Town” in Oklahoma, Forbes Magazine named Norman a “Top College Sports Town” and Money Magazine called Norman one of the “Best Places to Live” in America. Norman home buyers and sellers can rest easy knowing that they have a qualified Norman realtor helping them find the right Norman properties or sell their own properties, perhaps even find new Norman homes for a change of scene. Either way, you will enjoy the wonderful life in Norman, OK and will soon learn a lot about real estate in Norman. Contact Dan & Janet Weber with Keller Williams Realty at 405-822-6943 or www.weberhometeam.com for more information about Norman OK homes. Email us directly at info@weberhometeam.com. We look forward to helping you find or sell property in Norman, Oklahoma. 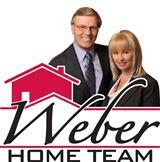 Contact The Weber Home Team today for assistance with Norman, OK real estate.